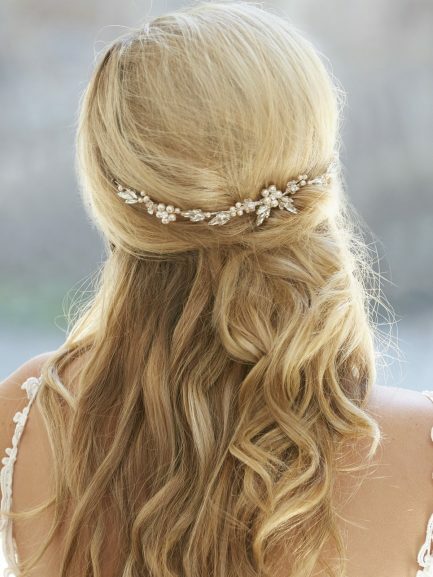 Hair vines have to be the most versatile bridal accessory. 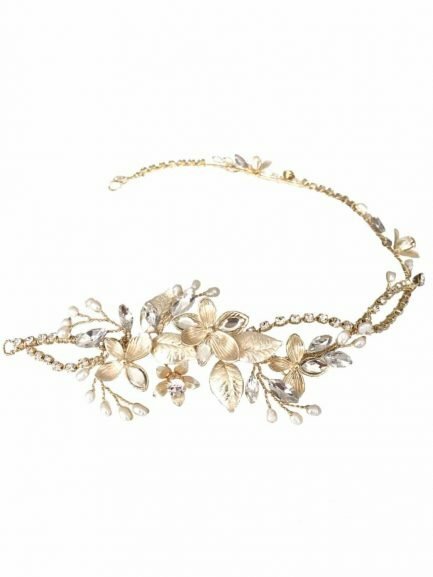 Wear them like a headband, or across your forehead as a browband, wrapped around a bun or wound through a French plait. 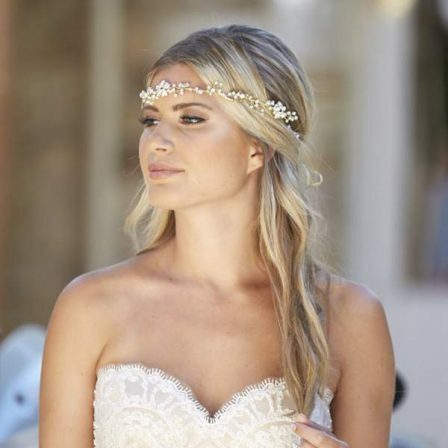 Hair vines have been around for a few seasons now and are constantly gaining in popularity. 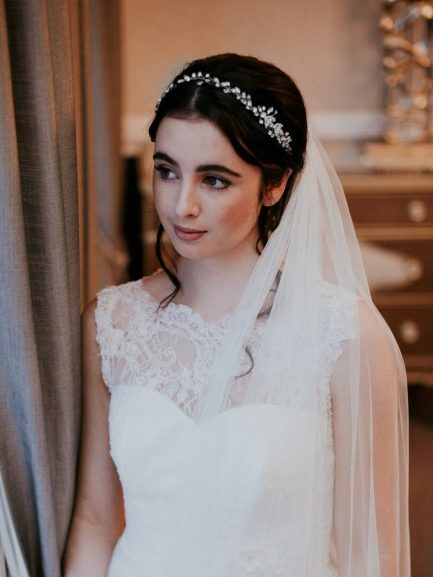 We also have some hybrid tiara/hair vines that are rigid enough to hold their shape but still more flexible than a typical tiara. 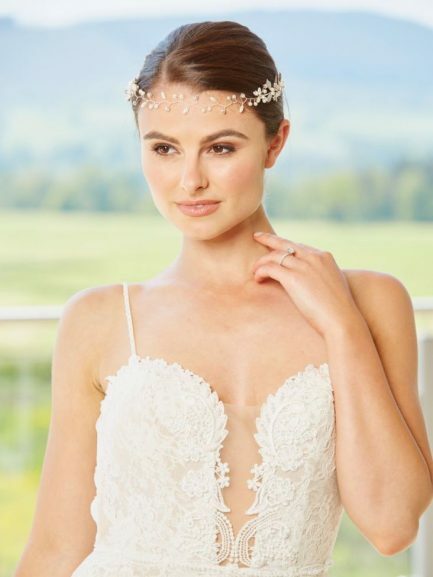 Or why not go for a dramatic halo (full circle headpiece) for a romantic, boho vibe! 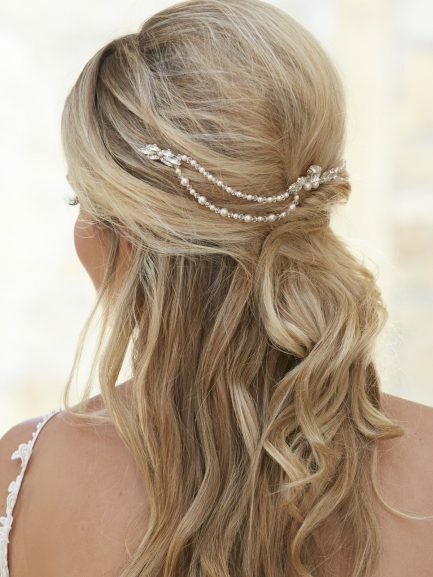 Or finally, you could accessorize your up-do with a pretty draping headpiece. 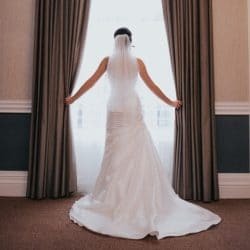 These are two or three-part accessories that are joined by beaded drapes or chains. 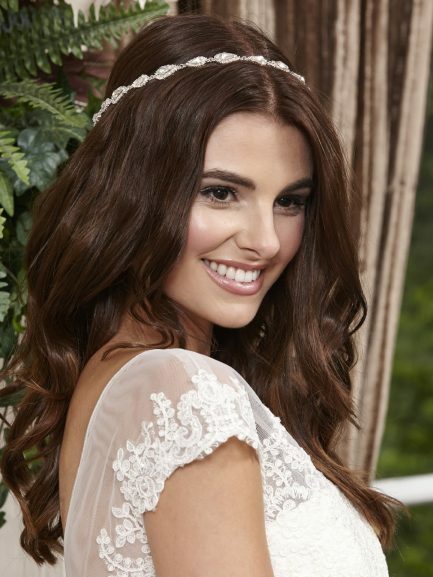 AR579 is a pretty single strand draped headpiece with a diamante waterdrop in the centre. Secures into the hair with combs at either end. 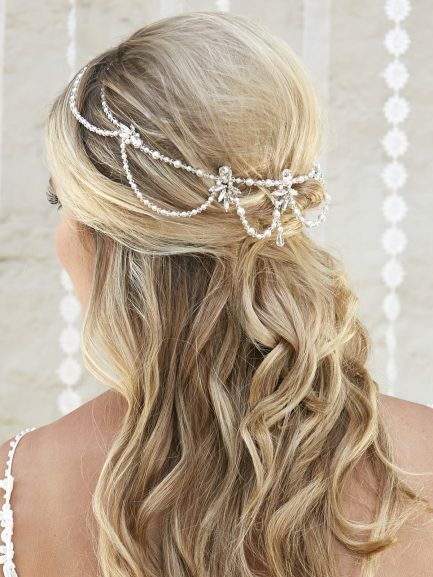 AR562 is a handmade diamante and pearl hair drape. 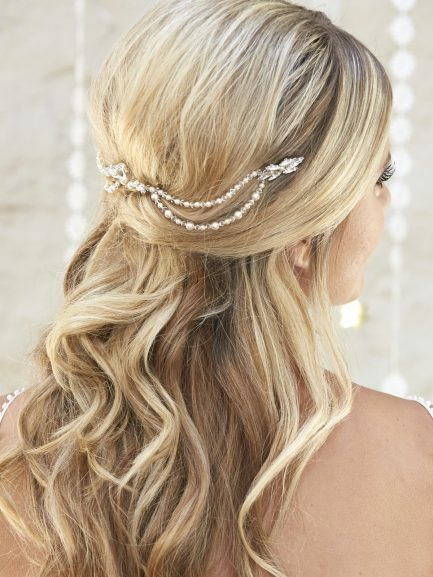 It’s pretty design makes it perfect for a half up-do. LP711 is a dark rustic gold pearl & diamante hair vine. 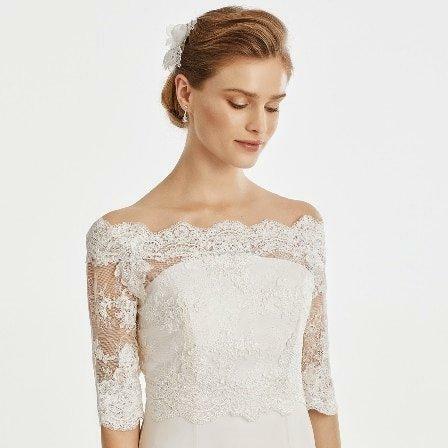 Perfect for a vintage bridal look. 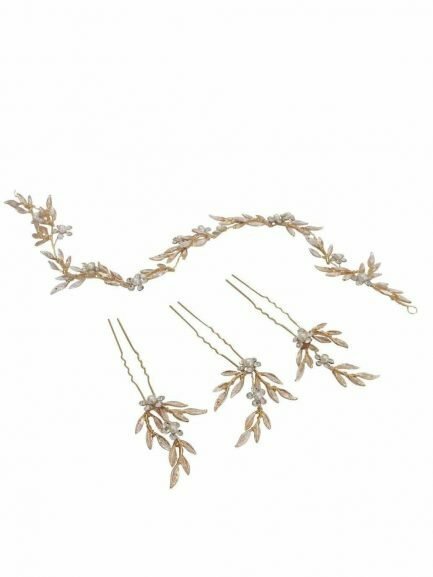 LP710 bridal hair vine is a leaf, pearl & diamante hair vine that comes with 3 gorgeous matching hair pins. Available in Silver or Rose Gold (shown). 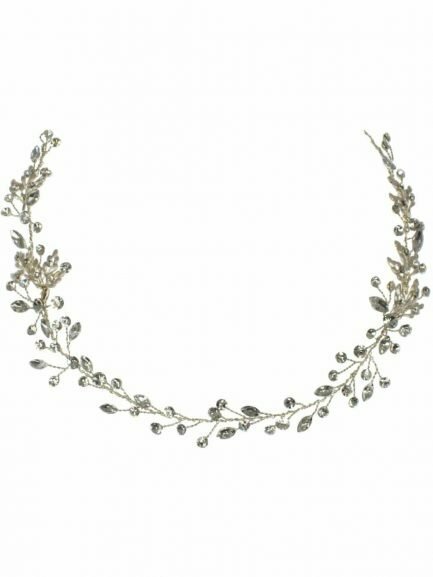 LT621 is a leaf & diamante hair vine that’s wider at each end than in the centre. 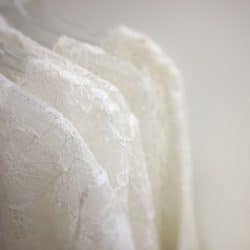 A truly versatile piece. 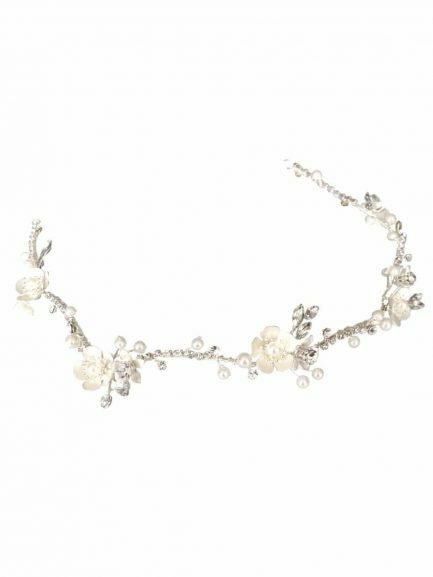 LL327 is a floral pearl, leaf & diamante hair vine available in rose gold or silver. A truly versatile piece. 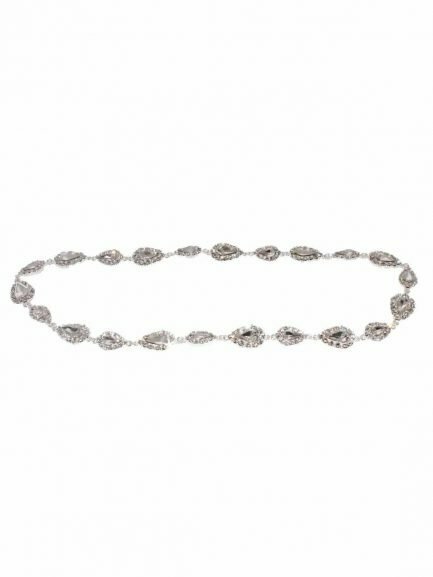 LP727 is a floral diamante hair vine available in gold or silver. It can be worn in many different positions in the hair. 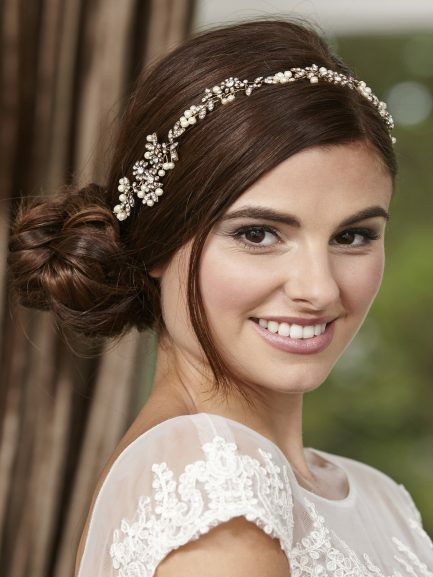 LP726 is a slim diamante, pearl & flower hair vine. 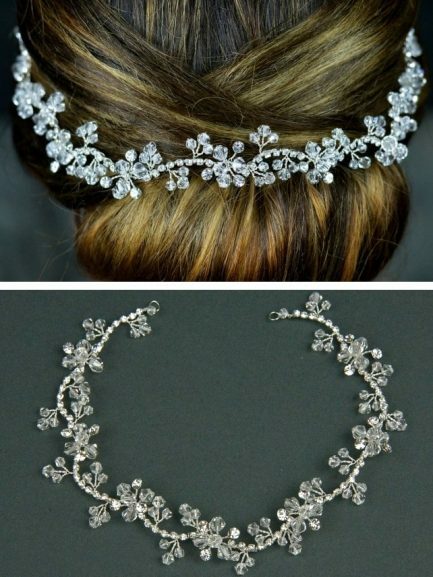 It can be worn in many different positions in the hair. 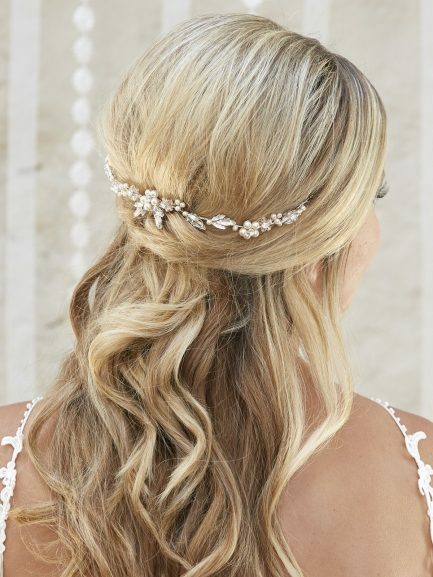 TLH3076 light gold diamante bridal hair vine. 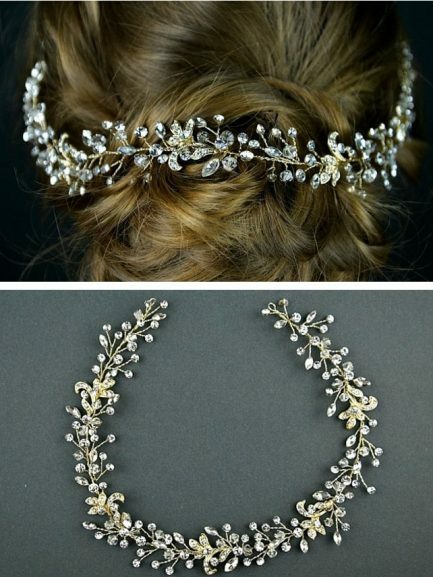 This delicate gold design looks beautiful in all hair colours. 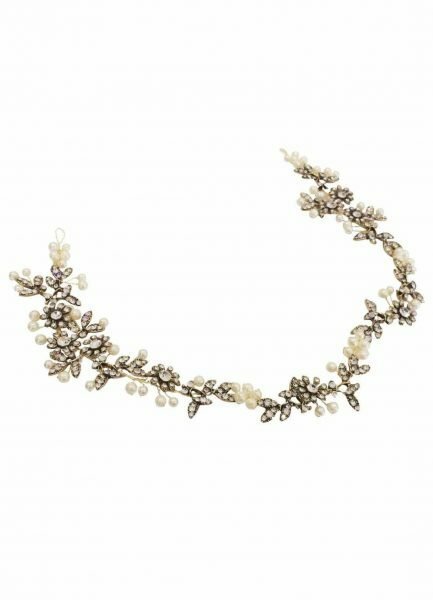 TLH3067 is a freshwater Pearl & diamante bridal hair vine. 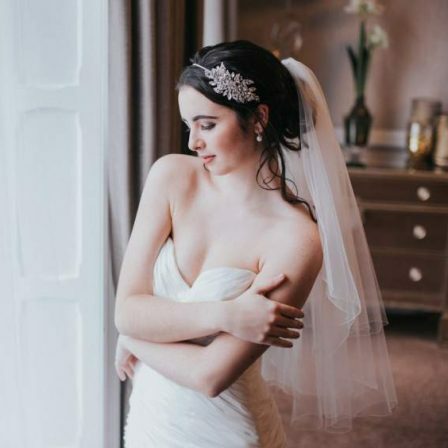 These flexible headpieces are so very versatile. Wear them at the back, around a bun, or as a headband! 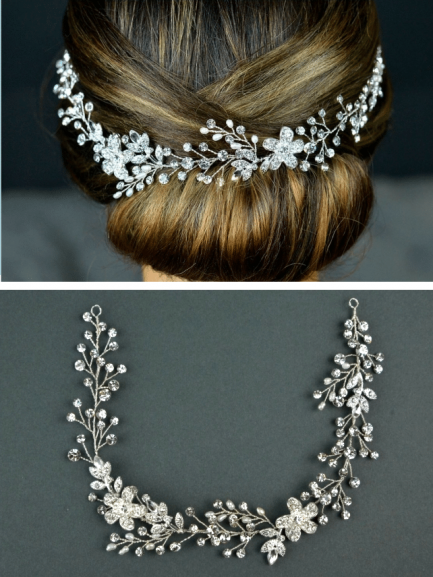 TLH3064 is a diamante & crystal bridal hair vine. This flexible headpiece can be shaped and worn in many ways.